I have paid for a subscription and now I can’t even log in to see any issues. Livid. I WISH I COULD GIVE ZERO STARS After the last update Lost all my magazines. I’ve tried everything keep getting the message, my email address can not be found, my account number can not be found. Everything was fine before the upgrade. I WANT MY MAGAZINES BACK!!! Since the app upgraded all of my magazine issues have disappeared. I’ve been trying to sign in for months....doesn’t recognize my account number or email address. Couldn’t contact anyone because it didn’t recognize my email address so the send button was grayed out. Finally tracked back the charges on my credit card so I could figure out who to call....it’s the Meredith Corporation by the way. Was able to get through to a real, very helpful, person who verified my info...I’m not crazy after all...who then sent me to the ZINIO help desk. Have been going in circles with THEM all day. They had me input a new email address and password. We end up at the same spot “click on the digital+print subscriber button”. Where I am in accounts does not provide that option. 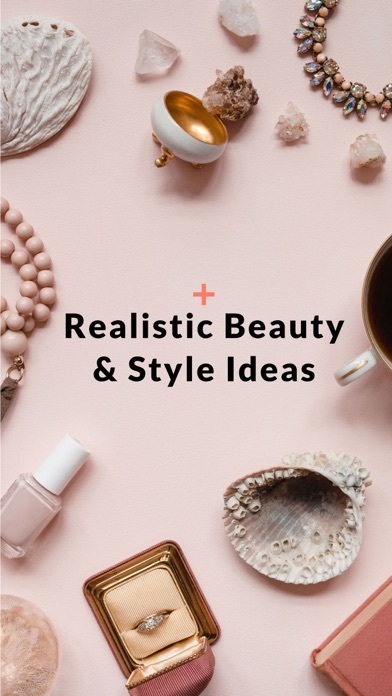 I have uninstalled and reinstalled both the Real Simple and ZINIO apps. But, hey, good news...according to them I have been a subscriber since 2011! Yay for me! No magazines...they are happy to take my money and I get a nice blank screen! Updated to the new app. Called customer service a number of times. The app doesn’t recognize my email or account. Been a subscriber for years; will not renew. Just adding my voice to the many people commenting on the failed upgrade. (Also kind of wondering if they know anything about testing new apps) I think that it says a lot about what they think of their content that they imagined their readers will spend more than 30 minutes trying to restore the app access for content they’ve already paid for. I know that this is probably not all real simple’s fault since I have similar challenges with other magazines through iTunes but nonetheless, it is ridiculous to be unable to access my subscription. I love reading this magazine and I loved reading through the various topics on the app during my downtime. This update is terrible and I will be ending my subscription. The amount of content is dramatically less and the layout is considerably less intuitive. Like everyone else, I’ve lost all issues, it doesn’t recognize my sign in email or anything. Got no help whatsoever when I called. At a time when magazines are tanking right at left, decreasing ad revenues should be what you struggle with, not shooting your self in the foot with terrible updates like this. What a mess. All of my downloaded magazines are gone and there is nothing I can do to get them back. Also my account email is wrong and I had no option to update this. I’ve been a subscriber for a LONG time. This is making me question if I continue my subscription. 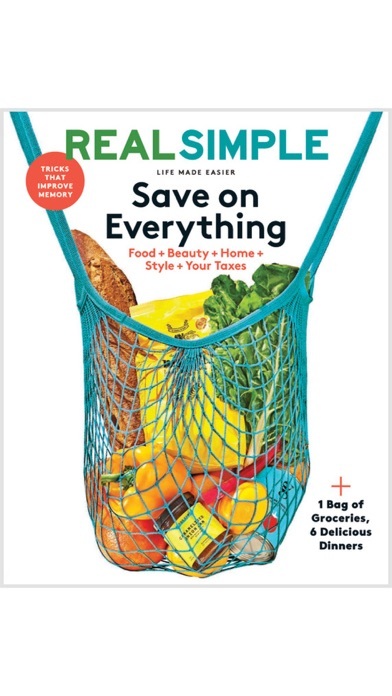 Very disappointing Real Simple. Like others have reported, I too lost access to my subscription and all downloaded magazines are gone. I wish I’d waited to upgrade. This is a major failure for their app development team. I reached out to customer service and they said they had reinstated my access, but I still get a message saying my account doesn’t exist. Horrible, horrible, horrible. The old app worked just fine and the new one doesn’t work at all. The app doesn’t recognize my email address or my account number, and I can’t download issues. Multiple phone calls and emails have been fruitless. Nobody seems to know (or admit) that there is a systemic problem with the new app. The app’s company, Zinio, is beyond horrible. I keep getting emails assuring me that everything is fixed, but of course it isn’t. I see their responses on other reviews here telling people that they will fix everything right away—of course that’s a lie. I’ve spent hours on the phone and dozens of emails and it still doesn’t work. Real Simple really blew this one. If I could I would give 1/2 a star. I’m a long time subscriber. I lost all my downloaded magazines with the new update. When I try to download an issue, I’m asked if I want to purchase it. I’ve called Real Simple customer service 3 times, once they told me that I would get an email response back in 2 days. Two days has since passed and no response. I subscribed to Instyle as well and it has the same problem. I wish I didn’t update the app. After I updated, I am no longer able to even sign in to my account. I just spent 37 minutes on the phone with customer service and they couldn’t fix it either, I still can’t sign in. I keep getting the error message that they are unable to verify my account and this is using the info given to me by RS customer service! Don’t update! This is one of the worst experiences I’ve had. On the road, and just noticed my issues are gone. It also doesn’t recognize my email. I have no idea my account number since I’m traveling. Really disappointing as I like reading this magazine on the plane. Had no idea eveything was lost. Really frustrated. I have the app and are my magazines, but is has stopped letting me read it and when I try to log in with my email it says it doesn’t exist, I put my account number I don’t exist. Real simple cannot help you. And in the app it says if you are having trouble contact support. I also tried to reset my password but again says my email I don’t exist. This is my second review and this this app is garbage. The email account associated with the app is incorrect and does not match my subscription. And the account number is missing the last digit. It seems to me poor testing was done before it was released. So disappointed. Years worth of issues gone and won’t restore. Horrible interface. Forces you to create a Real Simple account. The old app was so much better and it worked. As others have said, update the app at your peril. 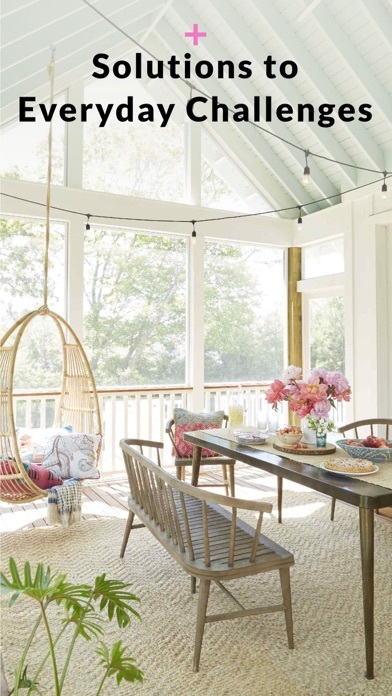 You will lose all your old downloaded magazines (which had articles and recipes I referenced occasionally) and you will face an uphill battle getting your access back. They were able to restore my account and some issues, but only the last 8. Also the email address that they set for my account is an old defunct email address that is a decade out of date. No way that I can see to update it. Also, for some reason my account number is different than what shows when I login on safari to manage my subscription. They’ve cut off the last digit without any compelling reason why. No response when I asked these questions. Real Simple support just seems to keep getting worse and worse. Updated to the new app. Sorry I did. I have now lost all my issues that were downloaded. Tried uninstalling and reinstalling the app. No good. If it wasn’t broken, why did you fix it. Very disappointed. If I can not download my back issues, I will be cancelling my subscription, until you can fix this. Disappointed user and reader. Have been in contact with customer support and they still can’t fix my problem. Have been sending them emails with info they requested and I still can’t download any issues,especially the latest issue. Why should I pay when I already have a subscription. Think I will not be renewing. 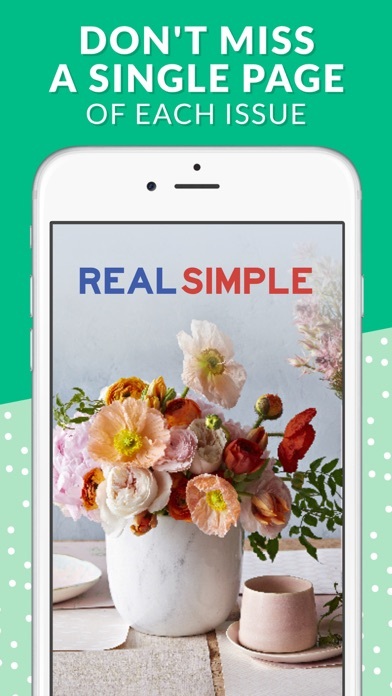 I just updated my Real Simple app and lost all my digital issues. I can’t access my new or old magazines. I had other magazines on ZINIO with no problems I don’t know what’s happening with RS magazine. I am having the same issue as others. I have reached out to RS customer service. They instructed me 2 different times to delete and reinstall even after I told them it didn’t work the 2 times I did before even contacting them. They then informed me that they changed my password and were able to see all my issues. When I signed in with the new password and waited for the app to update as instructed- still no issues. The purchase button never changed to a download button. This was 2 days ago. Very frustrated. Do not download and install today's (January 14, 2019) update. I updated this app, when notified and forced to update it. The app no longer recognizes my user account email. I talked to tech support through Real Simple. A password reset did not work. Apparently, other users are experiencing the same issue: "User does not exist." They are working on it, supposedly fixing it this week. Only update app if you want to lose access to all issues. 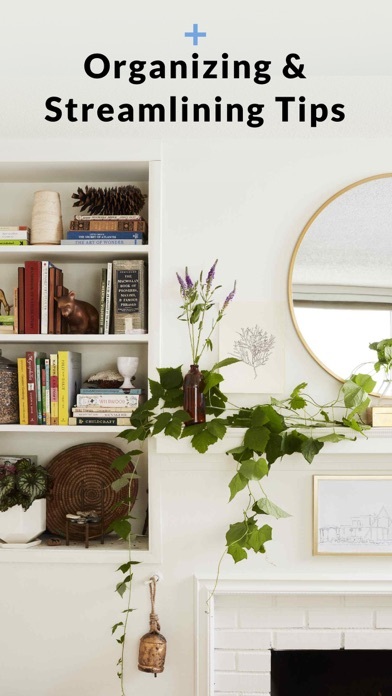 February 2019 issue prompted update with message. Zinio registration required but RS app doesn’t recognize email address or subscription number. No help from Zinio or RS customer service. Told to wait 48 hours for system to reset..now more than 96 hours and still no magazines in library. With the latest update I'm trying to figure out how to bookmark a magazine page so I can continue reading where I left off. Finally, we got a update worth something. Much much faster. Thank you. The app version seems to get less and less reader friendly. Why can't the pages appear one at a time in full screen? I just want a similar experience to reading as in the print version. The app used to do that. The reader view is not helpful. I should just be able to see the pages in full screen. Your settings offer no viewing options. Edit: Cancelled my subscription a few months ago. Couldn't take the buggy app anymore. My subscription will remain cancelled until the old app is back. Edit: And now I can't even stay logged in or download any of my magazines. Awesome... I've been subscribing for a long time and they keep changing the parts about it I like. I don't have room for the paper magazines at my apartment, so I rely on the e-version to get and keep my magazines. First they removed the calendar at the end, ok. And now, starting with January's issue, the text seems so much smaller with fewer interactive features such as highlighting one caption of a list at a time. I usually read while I'm on the treadmill and it's almost impossible for me to read now - I'm 28 with 20/20 vision. The table of contents also doesn't seem to let you jump around anymore making it hard to revisit articles I may not have had time to read. If the magazine keeps going downhill like this, I won't be able to justify spending the money on it anymore. I purchased digital issues as part of a hard-copy subscription. Issues before September 2013 are missing from the app. Are you going to make them available, or are they gone forever? Please Real Simple, stop leaving automatic stock responses on these reviews. Just give us the former app back. Don't remove magazines every time I restart my iPad. Recognize that people subscribe through iTunes. I used to receive the print addition but the post office shreds the backs of the magazine with their machines so I can't do that either. The content is so good - it's not a magazine that I just want to drop. And at the same time you don't care about your customers what is up with that? The app is horrible. It crashes constantly, is unresponsive, the font is too small and reader view is annoying. Overall very disappointment because I love the magazine but don't want to get hard copies in the mail. Makes me consider dropping my subscription. I also don't have the September issue. Ever since they updated the app, it is extremely slow. It was so much better when you could tap on an article and it would take you directly to it, now you have to scroll through all the pages. I don't like the reader view, but the regular view is too slow to read. I wish they would restore the old app! Where did September go? One minute it was there, the next it was gone :( Your previous interface used to be a little more convenient, now it's a little annoying that you can't even access the hyperlinks from the magazine pages like before. What happened? When not connected to wifi can't read magazines I've "downloaded ". Why have a subscription? Piece of crap!!! 8/26/17 The same problems persist. Reading Real Simple has ceased to be enjoyable. I'm constantly worried about activating "reader view" thus crashing the issue. And a reminder about "reader view" is on each page. Every time I turn the page I have to wait for it to disappear. Also, enlarging the text is frustrating as it consistently rebounds to small text. 6/1317 Update. Since the new update, the app is pretty useless. A reader view option has been added but it causes the app to crash. I'm sure they are working on it and I can get back to enjoying my favorite magazine. Btw, I don't know how much I would enjoy the reader view but I do like how O mag changed their app so I can scroll down each article. I also dislike how the text is blurry for a few seconds on each page. It just isn't relaxing to read anymore. Thanks! Oldest review: I like the iPad version very much. I wish the links were clickable for easy shopping of recommended products. However, I am very annoyed that I lost all previous issues when I switched from a print to an iPad subscription. I had been a print subscriber from the first issue but didn't feel a need for both copies. Unfortunately, I haven't received a response from customer service about this issue other than an automated "we received your e-mail". Update: I'm now able to download previous issues by signing in! I'm very happy with my iPad subscription. Don't waste your money on this app it doesn't work. And for heavens sakes NEVER get automatic renewal. AND they don't care if your magazine is downloaded or not. Loved magazine until this update. Painful to even view magazine but unwanted articles seem to have no problem staying up front and center. 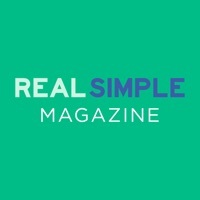 If it remains I will cancel my long term subscription real simple is no longer real simple. Very sad. New review 2017 Price has more than double. I will not be renewing my subscription. Older review My subscription has not expired but the app is asking me to buy an individual issue. Please fix. I hate this app so much, I'm writing my first ever review. After installing an update, I'm now unable to access issues I've paid for. I contacted developers through the app and the Real Simple customer service team. No.Help.At. All. Don't waste your money. Price doubled ! What's up with that , I will cancel. It literally doesn't work. I've reinstalled the app a laughable number of times. I have downloaded all of the issues that I want to read. But 1) the app doesn't allow me to read the issues and 2) I'm finding that if I'm offline the app has even less functionality. I am honestly so angry and feel cheated of my money on a stupid app that makes me want to throw my iPad against the wall. Please fix this. It's offensive that the RS would allow such an inferior app version to be released. Magazine is great and the app was great until about January 2017. Then the font got super small and hard read. This latest update at least gives a reader view but the UI is AWFUL! It doesn't save your place, so you have to remember where you left off and navigate there, the font is still small, and the 'reader' view is just clunky. Please fix this! I see I am not the only one with this problem. I purchased a digital subscription through iTunes. I couldn't get the app to acknowledge the purchase without deleting and reloading the app to access through iTunes. Now even that is not working. Real Simple customer service says it's an iTunes problem. This is completely unacceptable. Oh and by the way, the restore purchase instruction in response to another review? Does. Not. Work. After the latest update, I am unable to access my digital subscription. Not good. I used to love this app (years ago when I had the print version with digital access). I recently canceled my print subscription and purchased digital only through iTunes. The app barely opens and it won't confirm my subscription. So irritated that I'm paying $3/mo and can't access my magazine at all now. ___________ UPDATE: After many, many tries, I finally got it to work. I had to access it on the device I'd originally subscribed on before it would then work on my phone. I'm not sure why it was so finicky but it works now, so I'm upgrading my rating to three stars. The magazine is great if you can access it. What happened? I just did the update it still can't view ANYTHING and I know my subscription is good. The new version is awful. The new version is fantastic. I love the new reader view and the addition of the latest articles from the web.